Popular color commentator Jerry Remy is returning to the broadcast booth Friday, just in time for the Red Sox series opener against the rival Yankees. 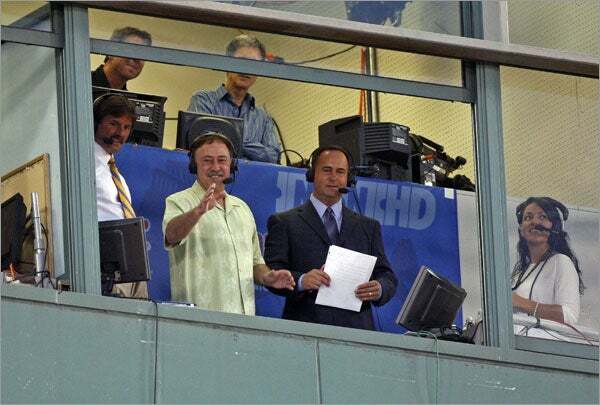 He will ease in to his return, coming back on a part-time basis alongside play-by-play voice Don Orsillo. Remy took a leave of absence May 6 to recuperate from the effects of lung cancer surgery last fall. During a visit to Fenway Park last week — his first return to the ballpark to see a game since taking leave — he spoke openly about battling depression during his recovery. Remy spoke about returning to work with pregame host Tom Caron Wednesday night. “Now I’m glad I did it [return to Fenway last week] because it really kind of gets that out of the way and when I do come back on Friday to do a game, it’s just a normal day,” Remy said. “The Yankees being in town, obviously that’s a little bit different, but to get all this personal stuff out of the way I think was a great thing for me last week. But it is a little bit uncomfortable. You know I’m not a player, I’m just a broadcaster. To have that much attention put on you it means people care about you. Remy began broadcasting Red Sox games for NESN in 1988 and has become an institution in New England. His ability to connect with fans is legendary, and many view him as one of the family.